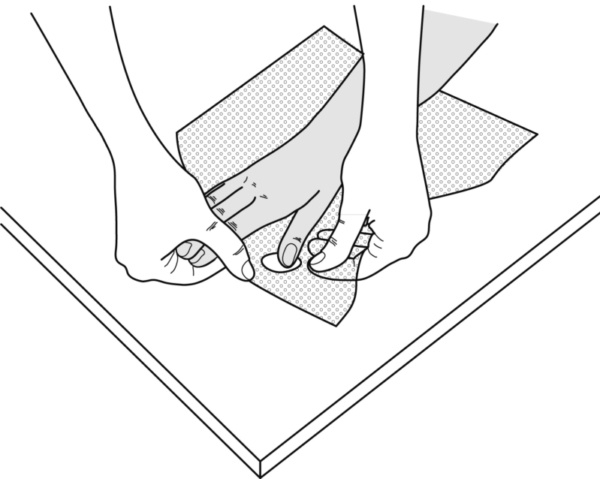 Place the pre-heated pattern on the work table, the shortest side from the opening in the direction of the thumb. 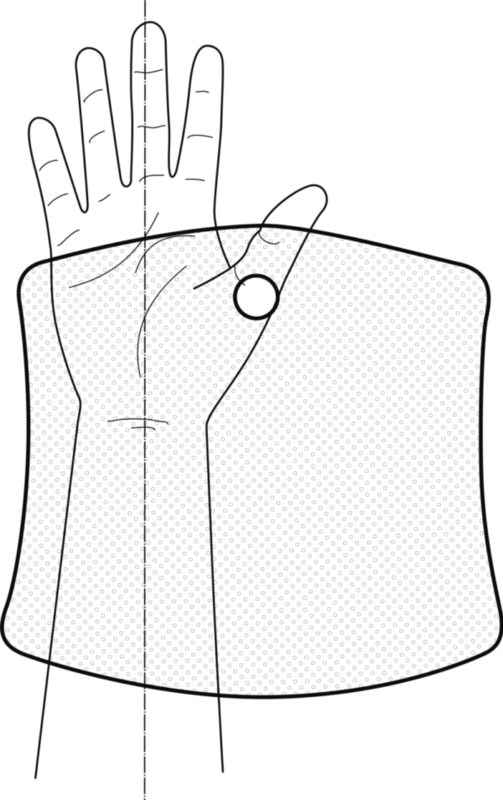 Ask the patient to stick his/her thumb through the opening. 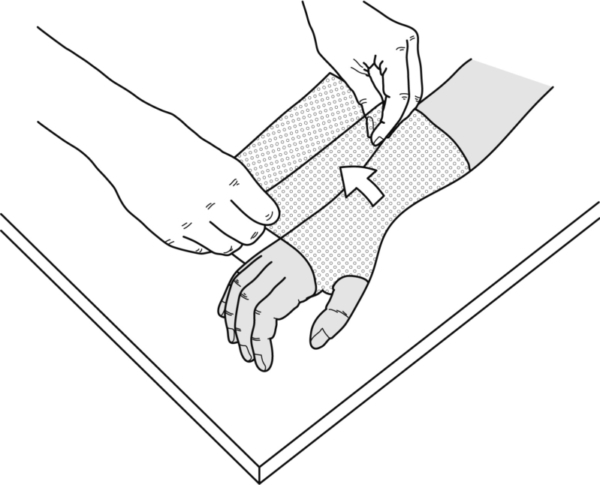 Pull the radial portion out and place it dorsally over the hand and forearm. 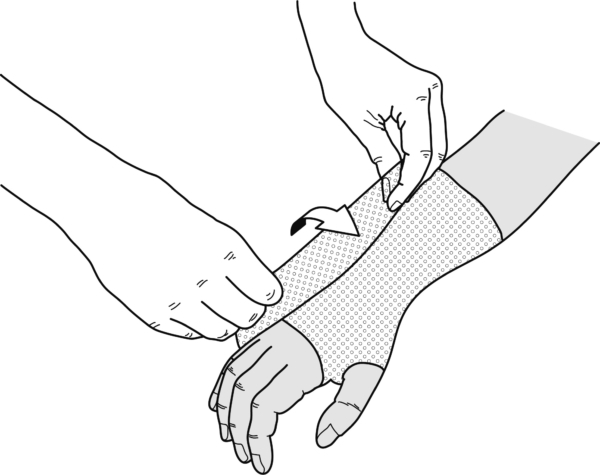 Now pull out the ulnar portion and overlap. 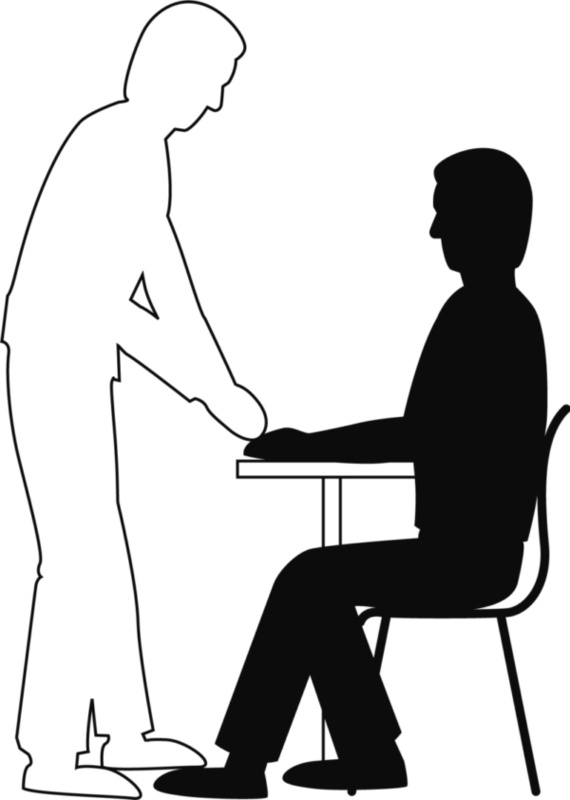 Stand in front of the patient, bring his/her hand in an upward position, spread the splint material out fully, and adopt the desired position. 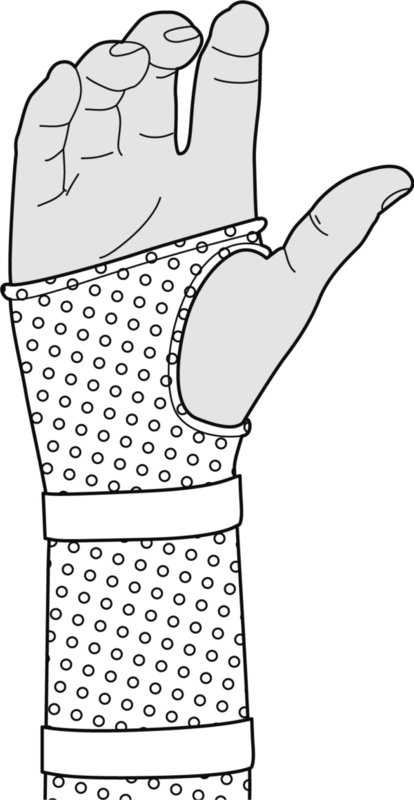 One circular strap at the proximal end. Where necessary, roll over the edges after re-heating.